I hope the same for you too and a beautiful card. Beautiful card Em - I adore the soft look with the lovely sentiment you used. This is so soft and delicate. I really like the pearls. Thank you so much for taking time to post your very creative art with us this week at Word Art Wednesday, on our 194th challenge. 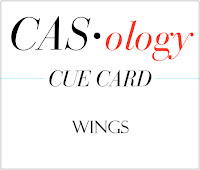 Very elegant CAS card, Em. Love the soft colous - looks so dainty. Em, I love this delicate card! Those butterflies are so soft and precious...love! Thanks for joining us at CASology this week! Such a pretty card. Thanks for joining us at Brown Sugar. Good luck. Very pretty! I could never get tired of looking at card with butterflies on it. Hope you are having a good week! So pretty - love those butterflies! 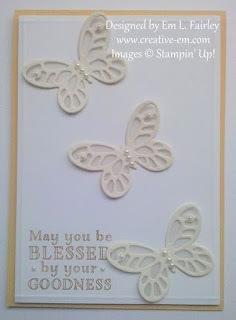 I love those gorgeous die cut butterflies and the sweet pearls. Thanks for playing along with CASology this week! Hey Em! I'm so sorry I called you Mynn. I was looking at Mynn's blog candy and somehow had her on my mind while I was writing. Please forgive me. I would know your cards anywhere, but my mind (on the other hand) is constantly wandering! LOL Thanks for sharing with us. Oh Karen, no worries at all! Nothing to forgive! 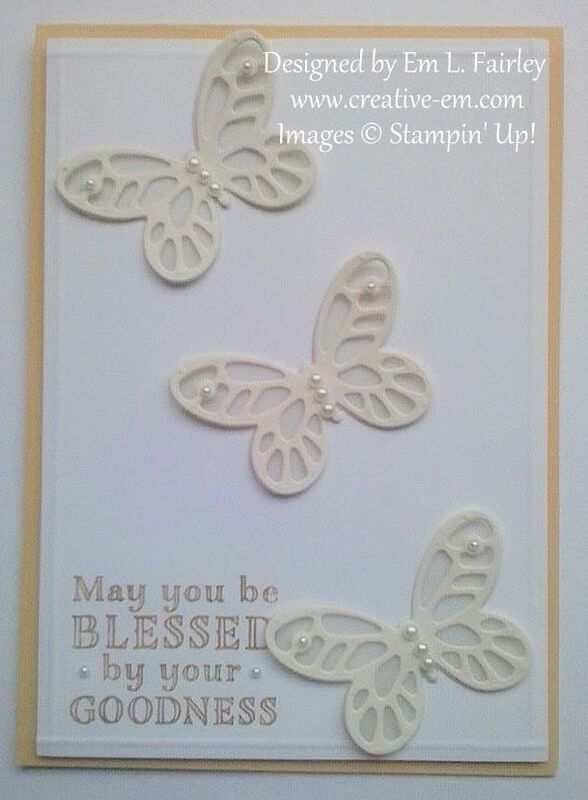 What a beautiful and delicate card, I really like the butterflies across the front panel! Thank you for joining us at TTCRD this week!